The Green Deal re-launched in June 2017 and is separate from the Affordable Warmth Scheme. 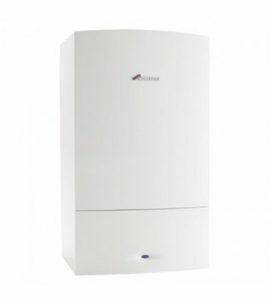 Green Deal helps householders to install new boilers and storage heaters with no upfront payment. The Green Deal was launched by the Government in 2013 but was withdrawn in July 2015 after a low take up by just 13,000 householders. It was re-launched in June 2017 after the government sold the Green Deal Finance Company (GDFC) to Aurium Capital Markets (an investment house) and Greenstone Finance (a private equity business). Green Deal allows householders to take out a loan to pay for new energy efficient home improvement products but you don’t have to pay a deposit and you don’t repay the loan directly. Green Deal loan repayments are added to your electricity bill but there is a ‘Golden Rule’ that the monthly repayments will never be greater than the amount you save by having more energy efficient products installed. If you sell your home, the Green Deal loan stays with the property, so you don’t have to repay any balance when you move house. 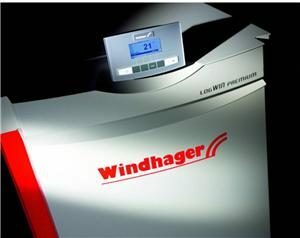 To start with we can only accept Green Deal applications for Electric Storage Heaters. Green Deal is available to householders who do not qualify for an Affordable Warmth Scheme ECO grant. 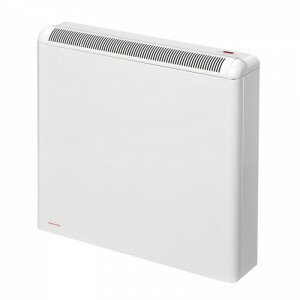 It is also available to those who do qualify but who have to contribute towards the cost of new storage heaters. A document entitled The Green Deal – A Summary of the Government’s Proposals was published in 2010 by Chris Huhne, the then Secretary of State for Energy and Climate Change. After much discussion and consultation with interested parties, the Government’s Green Deal Initiative was eventually launched on 28th January 2013. The intention of the Green Deal was to encourage the installation of energy efficient home improvements in private homes across the UK. These home improvements included more efficient heating products such as ‘A’ Rated energy efficient central heating boilers, electric night storage heaters and more efficient insulation products such as cavity wall insulation and loft insulation. The Green Deal was based on the idea that homeowners receive upfront funding to pay for energy efficient home improvements and then repay the loan through reductions in future energy bills. The so-called ‘Golden Rule’ which applied to the Green Deal, was that forecast savings in future energy bills should more than repay the initial amount which was borrowed to fund the related energy efficient home improvement installation. In essence, homeowners could have their properties upgraded without having to pay upfront for the improvements, the resulting savings on their energy bills more than pay for the installation; and potentially harmful emissions are reduced in the process. On the face of it there appeared to be no losers! However, leaders in the home improvement industry were sceptical as to the real benefits and because interest has to be paid on Green Deal loans, the take up was well down on initial expectations. Why was the Green Deal introduced? First of all – Climate Change! It is widely reported that the average temperature of the Earth’s surface is not only rising, but rising at an increasing rate. The average temperature has risen by almost one degree centigrade since 1900, with the majority of that rise taking place since the 1970’s. Apparently, due to the burning of fossil fuels more than thirty billion tonnes of carbon dioxide are emitted into the atmosphere every year and this is contributing to global warming. The threats of global warming, rising sea levels and potentially catastrophic disruption to normal life are causing Governments all over the world to take action. Most Western Governments are taking steps to reduce the emission of so-called ‘greenhouse gases’ by reducing the use of fossil fuels in the generation of energy and by improving energy efficiency. The reduction in the use of fossil fuels has resulted in the promotion of ‘green energy’ sources such as wind, wave and solar power and that is evident by the subsidies which these energy sources attract. In attempting to improve energy efficiency the Government is encouraging the use of ‘A’ Rated energy efficient products such as refrigerators and central heating boilers as well as promoting the insulation of buildings. There are over 26 million homes in the UK and it is claimed that over half of them have inefficient energy systems, poor insulation levels, or both. Also, the Department for Energy and Climate Change (DECC), which was responsible for managing the Green Deal estimated that almost a quarter of all UK carbon dioxide emissions and a third of all carbon monoxide emissions are generated from domestic properties. With 1990 as the base year, commitments given by successive British Governments require a 34% reduction in carbon dioxide emissions by 2020 and an 80% reduction by 2050. The Climate Change Act (2008) legislated for a reduction in carbon emissions by setting legally binding ‘carbon budgets’ in the domestic, commercial and industrial sectors of UK life and in 2011 the Energy Act took this further by introducing the Green Deal. Running alongside the Green Deal was the Energy Companies Obligation (ECO) and the Electricity and Gas (Energy Companies Obligation) Order 2012 was approved by Parliament on 4th December 2012. It placed responsibility on the big six energy companies to provide funds to pay for the installation of certain home improvements intended to make private homes more energy efficient. It was estimated that around £1.3 billion per year would be made available to cover the cost of these energy-saving home improvements. The ECO Scheme was scheduled to run initially until March 2015, was extended to March 2017 and is now extended further. The ‘Golden Rule’, on which the Green Deal Initiative was based, was designed to ensure that the initial amount borrowed to fund a particular energy efficient home improvement, was limited by the value of future savings on energy bills as a result of that installation. So if installing a more energy efficient central heating boiler or double glazing is going to save, say £30 per month on your energy bill, the initial loan is restricted so that the £30 per month saving is sufficient to repay it. But it was difficult to ensure that the savings will be sufficient to repay the loans because it was affected by changes in future energy use (possibly due to changes in occupancy levels), increases in the cost of energy and not least….the cost of the loan. What all this means, is that someone is going to have to assess which type of home improvement will save money on energy bills for a particular home, how much they will save and whether the saving can pay the upfront cost of the installation. This was the job of a Green Deal Assessor and the Green Deal process was broken down into four main stages. Householders can request a Green Deal Assessor to carry out an assessment to determine which, if any, home improvements will qualify for entry into the Green Deal process. It is the job of the Green Deal Assessor to calculate the future saving in energy bills which a particular home improvement installation should achieve and compare this to the likely cost of the proposed installation. A detailed proposal is prepared showing the cost of the home improvement, the forecast savings in energy bills as a result of it, and the length of time it should take to repay the upfront cost. A householder can then obtain quotations from other accredited Green Deal Installers and make a decision. There may be more than one qualifying home improvement installation for a particular property and the householder may choose which, if any, they decide to apply for. It should be noted though, that Green Deal Assessors may, and probably will charge the householder for each assessment, and costs of up to £120 have been mentioned in the press. Once the Green Deal Assessor has confirmed that particular home improvements qualify and the Green Deal householder has chosen which home improvements to apply for, a Green Deal Provider is called in. The Green Deal Provider is central to the whole process and has several roles to play, including arranging the finance and ensuring that everything is in place for the loan repayments. Loan repayments are attached to the property’s energy bills, specifically the electricity bill as everyone will have one, whereas they may not have a gas bill if the property has say, oil central heating. If the property is sold or passed on, the Green Deal repayments stay with the property, as the person responsible for paying the electricity bill is also responsible for the loan repayments. The Green Deal’s ‘Golden Rule’ should mean that even after the loan repayments are added to the electricity bill the total energy bill for a property will still be lower than it would have been, due to savings made as a result of a reduction in total energy usage. With the finance in place, the Green Deal Provider draws up a ‘Green Deal Plan’ (a contract between the provider and the homeowner) which details the work to be done and repayments to be made. An accredited Green Deal Installer can then be appointed to carry out the work and when it is finished, all involved parties have to sign a document confirming that it has been completed satisfactorily. The money to fund the installation is provided by the Green Deal Finance Company which has been set up by the Government to provide funding with an annual interest rate of 6.9%. Green Deal Providers do not have to use this mechanism and although the interest rate must be fixed and referred to in the Green Deal Plan, interest rates could vary. The Green Deal Provider will arrange payment to the Green Deal Installer and oversee repayments of the loan to the Green Deal Finance Company. These repayments are automatically added to the electricity bill relating to the property where the installation took place, and it stays that way even if the property is sold. The Green Deal Provider has an on-going role to play as there is a continuing responsibility to the householder (including any future householders if the property is sold) regarding any queries or complaints. Which Home Improvements were included in the Green Deal? There was a wide range of products which qualify to be installed under the Green Deal Initiative but the overriding rule is that they should be more efficient than the existing installation which they replace, in lighting, heating or cooling the property or in insulating the property against the loss of energy. Products installed under the Green Deal Initiative must have been tested to the appropriate industry standard, for example, products covered by a harmonised European standard (hEN) are compliant as long as they have CE marking. CE Marking becomes mandatory for all construction products which are covered by a hEN by the summer of 2013. Those products which are not covered by a hEN certificate must be certified to the corresponding CE marking level. BBA (British Board of Agrément) Certificates satisfy these requirements because the BBA uses approved methods of demonstrating compliance with all of the relevant regulations. External wall insulation systems such as solid wall insulation must either be covered by a European Technical Approval (ETA) to ETAG 04 or a third party certificate issued by a UKAS accredited body. BBA Certificates satisfy these requirements. Internal wall, cavity wall and hybrid systems require third party approval by a UKAS accredited certification body and again, BBA Certification satisfies the requirements of the Green Deal. For those householders in most need where the Green Deal alone is insufficient, extra help may be available under the Energy Companies Obligation (ECO). The Energy Companies Obligation ran alongside the Green Deal and was introduced to help reduce energy consumption in Britain’s homes and to help householders who are living in ‘fuel poverty’. It did this by providing funding for the installation of energy efficient home improvements, such as a free boiler or free insulation in private properties and it is estimated that around £1.3 billion will be made available each year. The money was provided by the six major energy companies and is paid directly to the accredited installation companies once they have completed the work. 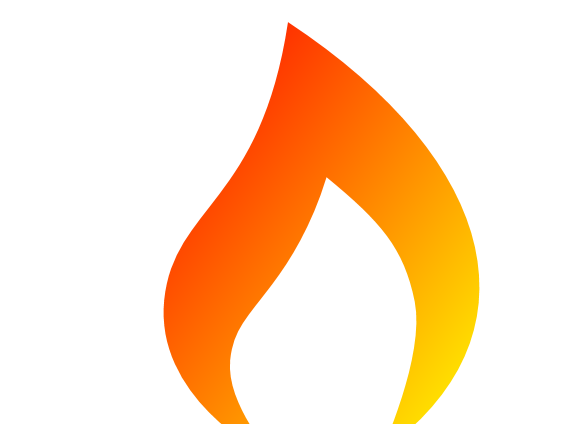 The main objectives of the Energy Companies Obligation are to tackle the problems of ‘fuel poverty’ and reduce potentially harmful emissions at the same time. The Green Deal Initiative and the Energy Companies Obligation are part of the Government’s overall strategy on dealing with Climate Change. What are the Energy Companies’ Obligations? The ECO Carbon Saving Community Obligation is designed to ensure that at least 15% of the funding provided by the six main energy companies goes towards installing energy efficient home improvements in the homes of low-income households in rural areas. The ECO Carbon Saving Obligation helps to fund difficult to install insulation measures which can’t be funded solely through the Green Deal initiative, such as solid wall insulation (which would almost certainly fail to meet the Green Deal’s ‘Golden Rule’ criteria). 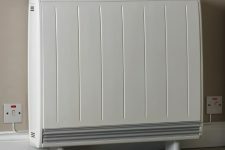 The ECO Affordable Warmth Obligation provides funding from the six main energy companies to cover the full cost of installing certain heating and insulation products into the private properties of low-income households. It applies to homeowners and tenants who live in poorly heated and insulated homes and who receive certain state benefits. Specifically, it is targeted at low-income households, the elderly and the disabled. Which Home Improvements can be funded under the Energy Companies Obligations? Who can install energy efficient products under ECO? Only those accredited installation companies who have been approved under the Energy Companies Obligation Scheme and who have organised funding from one of the six major energy suppliers are permitted to install energy efficient home improvements funded by the ECO. Under the ECO Affordable Warmth Scheme, householders who qualify could have a free boiler, free cavity wall insulation, free loft insulation or free solid wall insulation installed in their homes without having to spend a single penny. They would also benefit from the full saving on their energy bills as a result of the energy saving home improvement installation, unlike Green Deal applicants who repay the upfront cost of installation through savings in their energy bills.